Ghostly Greetings !!! 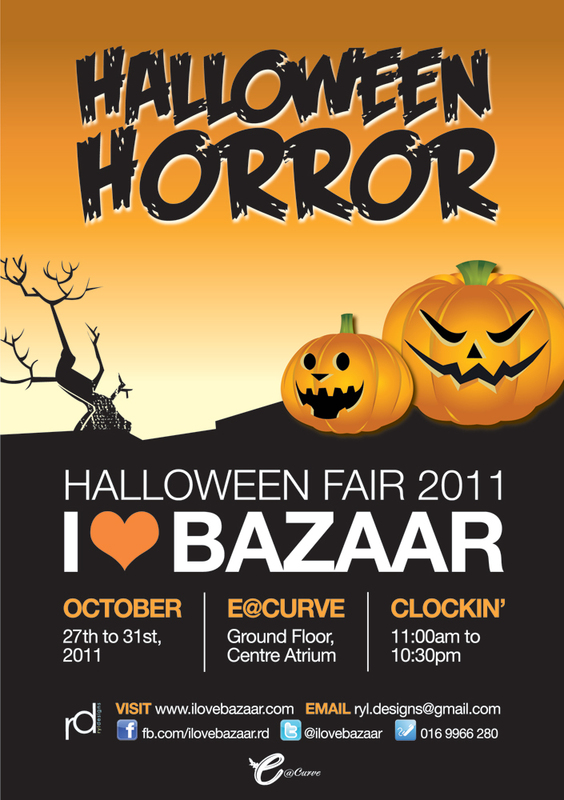 Come join us this year at the Centre Atrium of e@Curve for some spooooky Trick or treat session during this Halloween season! Each vendor will be provided with Halloween decoration, 2 chairs, a 6 X 3 ft. table and table cloth. Allocated booth space is 10 X 10ft. RM1450 for the entire duration of 5 days. A refundable deposit of RM300 is required upon confirmation. Limited space, only 8 Booths available. Have a Spooky Day ! !